You can now vote to view the cover of the next arc a few days early. This week's comics are loaded in the buffer and ready to go! Whoo! Hey all! Sorry this is going up late. I've got an exam in T-minus 1.5 hours, so I will come back later today and edit this properly! Today's serving of awesome comes from Jutta of A Gobo's Life! I think Jutta shared a sentiment with quite a few readers, that the way Colbey's reunion with Primrose went down was incorrect, and should have involved a lot more bruises, blood and flamboyant martial arts. In time, dear readers! In time. Because I always forget to put links to my Printfection store, here ya go! I used to be a lot more in T-shirts before med school, and most of these designs were made almost 2 years ago. 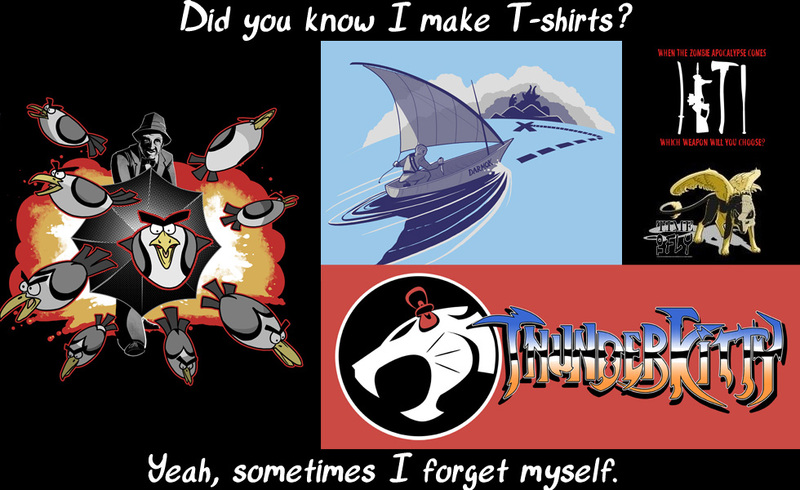 Had this big plan to make some monies through Teefury and stuff, but they didn't want them! So, they're up in my store. And a reminder again that I am on comic break for studying until the second week of April, so if you have any fan work (art or fiction, or heck, video, audio, collage, cosplay) please send them to warofwinds@gmail.com. There's nothing else in the buffer at this point. If I don't get anything, next week I'll either do nothing at all, or spotlight some of my friends' comics. I have 3 incredibly huge exams next week, so I'm back off to studying. Thanks for stopping by! Happy Friday.